The Blue Grass Community Club would like to thank everyone for participating in this year’s Race/Walk. See you next year!! 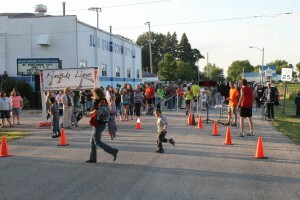 1 Mile Fun Run begins at 6 p.m.
5K Run/Walk begins at 7 p.m. This fast 5K slight incline and decline course will take you through the streets of Blue Grass and past the Blue Grass Homecoming Days Events. For more information, please contact Brinson or Donna Kinzer at 563-381-2803.